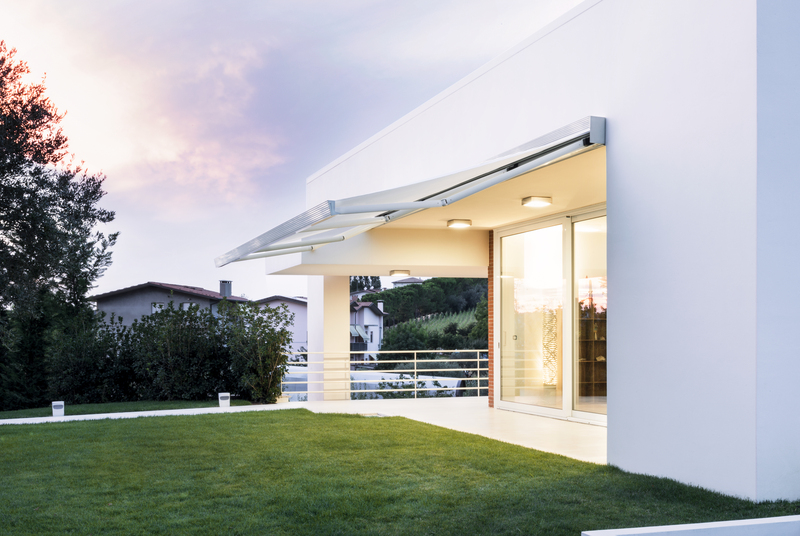 Awnings make any architectural design of a home more attractive. Installing awnings is a smart move because that type of upgrade will embellish the structure of your home and make it look more attractive. Placing awnings on several windows is also beneficial for temperature control. 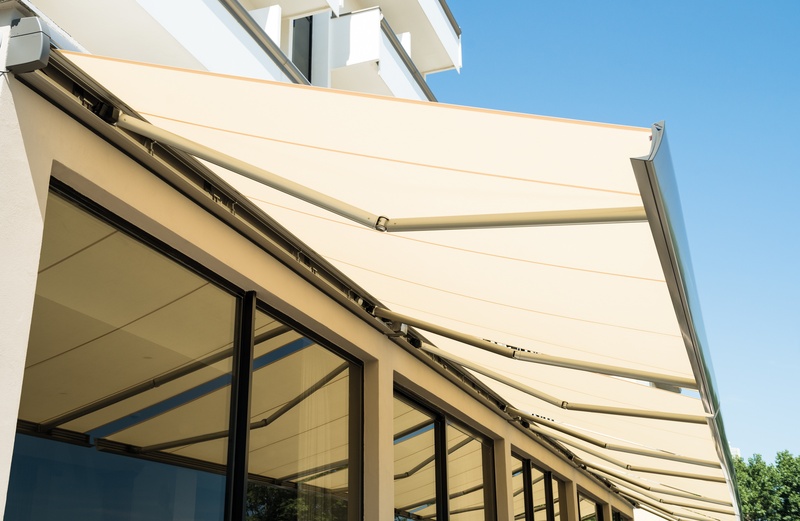 Awnings allow for controlling the amount of sunlight that enters the room and provide full protection against UV rays to ensure that your curtains, rugs, or furniture stay in shape. 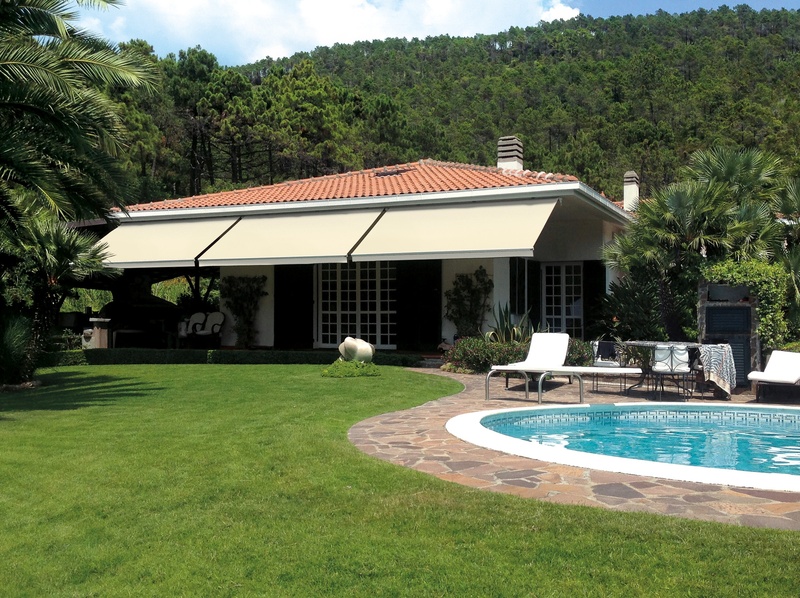 Our awnings are easy to install and can be integrated with classic and modern architectural styles. 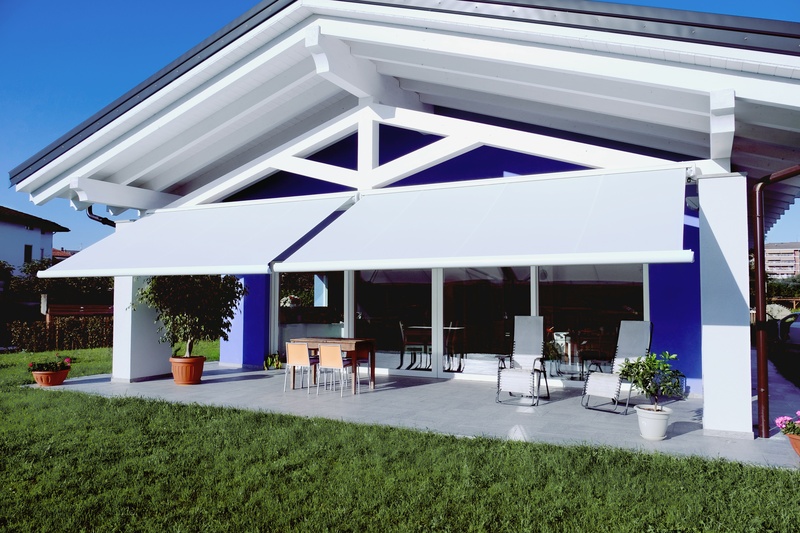 We offer a wide range of awnings, starting from door and window to arm and tension awnings. We designed the front bar and side caps to aid natural drainage of water in case of rain and to provide a perfect closure of the house for privacy. It doesn't matter what your purpose and style are – we have the perfect solution for you. Choose from different patterns and styles to take the design of your home to the next level. 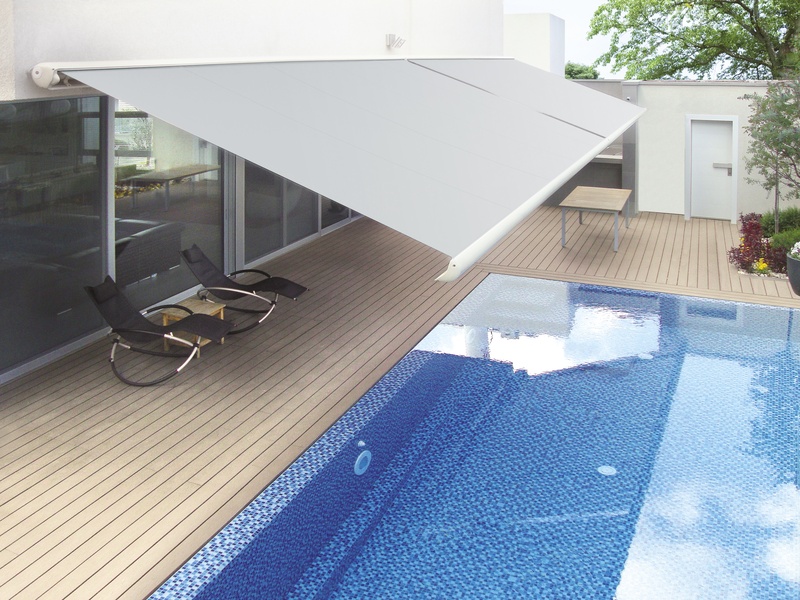 Awnings provide protection from the sun.  Our Awnings Serena® Motorization System and be controlled with a variety of different control options.